Baudry Therapy Center and BRIO share an Ideal Protein Recipe for a delicious Dessert “Shooter” perfect for those days when your sweet tooth is strong! 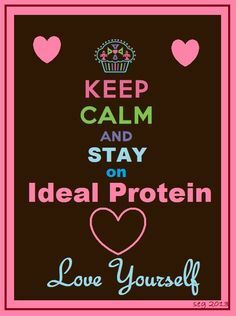 This easy recipe will allow you to keep calm and stay on Ideal Protein! Preheat oven to 350 degrees. Spray 18 cavities of Wilton Donut Hole Pan with nonstick spray. Mix dry ingredients well. Add water, Torani syrup and vinegar to dry ingredients and mix well. Divide batter equally among 18 cavities in the pan (two will remain empty). Bake at 350 degrees for 11 minutes. While baking, prepare one packet of Ideal Protein pudding according to package instructions. Remove little cakes from pan immediately and cool on wire rack, domed side up. When you’re ready to assemble, turn nine of the profiterole pieces so that the domed side is down. Use your finger to flatten the center of the profiterole to shape it into a little cup. Put the pudding in a piping bag or a baggie with a small corner cut off, and fill each of the nine cups so that it is heaping full. Use the remaining nine profiterole pieces, domed side up, to “top” the profiterole. The top pastry will stick to the mound of pudding. Arrange your profiteroles on a serving plate and drizzle with Walden Farms Chocolate Syrup.